This highly palatable B vitamin and iron rich liquid is the ultimate pick-me-up!! 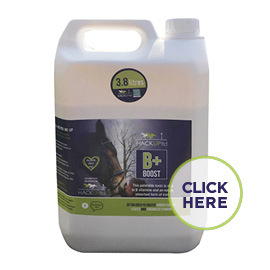 High levels of B12 bring back strength and sparkle to tired, run down horses helping to maintain well-being. 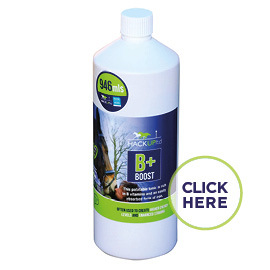 B+ will produce results in hours giving that extra sparkle without the unwanted fizz. It is also useful for timid horses and poor eaters encouraging appetite, and a healthy balanced state of mind.